The worldwide mobile phone market grew 19.8% year over year in the first quarter of 2011 (1Q11) fueled by high smartphone growth, especially in emerging markets, and gains made by market challengers.Smartphone growth worldwide, particularly in Asia/Pacific (excluding Japan), Middle East and Africa (MEA), and Latin America, helped lift the overall market to a new first-quarter high. Increasingly, mobile phone makers and carriers are making smartphones affordable to a wider variety of people, which has helped drive the market to new heights. Smartphone-specific vendors, such as HTC, continue to grow sales at a steady clip as a result of this trend. Feature phones have represented the majority of mobile phone shipments, but still are under tremendous pressure from smartphones. Even popular quick-messaging devices (phones with a QWERTY keyboard), once a bright spot within the feature phone market, appear to be losing steam as smartphones gain popularity. 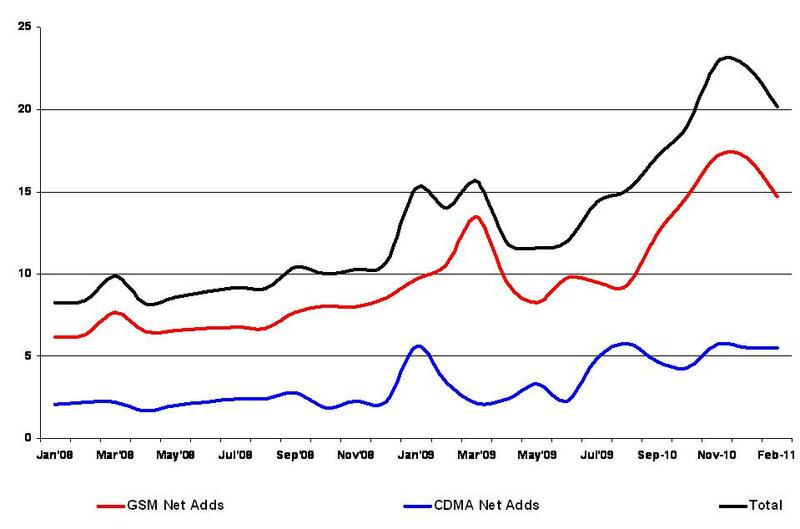 Still, IDC does not expect feature phones to disappear quickly as there is still strong demand across the globe. Increasingly smartphones will drive market growth. This means feature phone makers will either need to become smartphone dependent or consolidate that part of the market. Globally, mobile phone and smartphone shipments from Greater China powered strong mobile growth in Asia Pacific. This was inspite a muted quarter from Japan under the Tsunami wake. iPhone and Android powered Smartphone sales in Europe and Africa. Mid-end Androids along with Nokia and Blackberries have also grown mobile markets across. Android and iPhone were the drivers of smartphone growth in North America even as feature phone growth has been tapering down sharply. The Latin America market growth continued last quarter as the gap between smartphones and feature phones narrowed. Smartphone shipments were aided by carriers, who are moving customers to 3G networks while vendors shipped more touchscreen and QWERTY models. New Android and Windows Phone devices were launched too, which helped drive smartphone growth. The average selling prices also declined in the region, thanks to aggressive expansion by Chinese vendors. Smart TV: Do i need one? The question is: Do we need one? (for the price it comes at, unless its the “Brag” value we pay for). An iPod (internet connected media player) can be used for video and audio files. A PS3 or XBox 360 can play better games than any smart TV can ever imagine. Blu-Ray players with smart TV functionality can make a PC into a smart TV. The iPad with its touch experience is a far better internet machine than any other. The reasons in favour of the smart TV include the Brag Value and the ability to converge the smartphone, iPod, Gaming, Blu-Ray, 3D experience into a single device. But then the smart TV suffers from lack of mobility. So, does a smart TV make a great purchase unless a user doesnot care about throwing in ~2lakhs just for the brag value? A thumb rule for the Developer Dilemna: Free or Paid apps? As a rule i believe, that the more progressively an app is oriented to a niche and focussed usage, the greater the capability of the app to monetize. An example here would be of a health care app which could bring certain benefits in terms of monitoring health or medication for the user. Monetizing such an app, which is deeper in scope of its objective would be relatively easier. Compare it against a weather app, and the ability of the app to monetize would diminish, though the target group would be a much larger section. Secondly within its objective/ambit/usage, the more holistic (end to end) an app is in terms of resolving its objective, the monetization opportunity would be that much greater.The challenge here is not so much making the app as its discover-ability. But then, marketing the app rightly to the influencers in that niche can be an interesting way to make the app popular. In reference to the health care app example provided earlier, doctors or physicians are the ones who the app needs to market itself. Secondly, as a pointer, the current app eco-system with its free, paid and freemium models will not possibly be the best in terms of monetization. Developers would make money when their apps are channels or media for advertisers to engage their customers better (and i am not talking advertising here). Refer here for details on apps as media channels. Is cloud computing as reliable as we thought? On the early morning of April 21 (Pacific Day Time), Amazon’s Elastic Compute Cloud (EC2) data centre in Virginia crashed, taking down with it several popular websites and small businesses that depend on it. These included favoured social networking destinations like Evite, Quora, Reddit and Foursquare, among others. This outage continued through to the next 3 days. The duration of the outage has surprised many, since Amazon has a lot of backup computing infrastructure. The online businesses affected by the EC2 outage lost that many hours of ad revenues, business opportunities and drops of the precious trust of many loyal followers, a primary pillar of social networking. These losses are hard to quantify. The question is being asked: if an Amazonian cloud giant can crash so badly, what about the rest? If Amazon can’t safeguard the cloud, how can we rely upon it so? So the debate begins on the future of cloud computing and what to do to make users and companies put their trust in cloud vendors such as Amazon. The good thing about the cloud is that it protects users when their own home computers crash and lose data. But the rotten part about the crash of the cloud is that millions upon millions of users become helpless and any recovery of the data is beyond their control. Eventually, the cloud will become like a utility. You can get as much computing power as you want with the flip of a switch and you won’t have to worry about outages as much over time. But we’re clearly not there yet. Cloud isn’t magic like they earlier thought it was. It is rather merely about viability and not about continuous availability. Continuous Availability sold cloud computing to many small businesses, including the ever-increasing social networking bandwagon. SMEs are now graduating to the next level of cloud computing, using it not just for storage, but also for active computing purposes like communication, sustaining remote workforces and deploying cloud services like remote IT help, cloud operating systems , and so on. 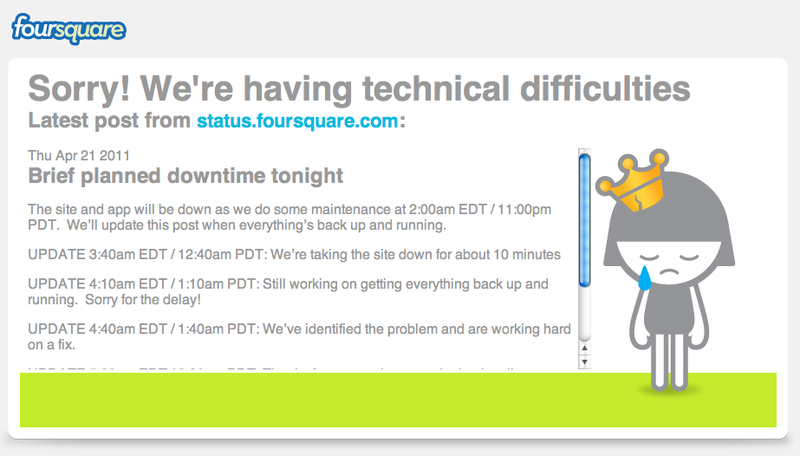 The impact of such an outage, therefore, is felt even more. Although Amazon will probably recover quickly, the event has damaged its credibility. Amazon has been a personification of the spirit of the Internet, which is one of true democracy, access to the means of distribution, and rapid evolution. However, in this case, Amazon has been cryptic about the cause and it has only said that matters are improving but were still not resolved. If Amazon can explain the problem and make a good case for why the damage may not be big, then it will be fine. If not, the work will go elsewhere. Amazon may be a big player, but there are other big players waiting to step into the game.These include the likes of Google , IBM , Cisco, RedHat and Microsoft (whose cloud ads are all over Silicon Valley), to name a few. Even the darkest cloud has a silver lining and this outage will be critical in determining a lot of supporting factors which will be critical for customers/ Corporations to consider before they engage the cloud infrastructure. •	Some sites spend the money to run mirror sites on other cloud vendors, so the sites can remain functional even if one cloud vendor goes down. But that’s an expense that many web sites haven’t taken. •	Corporations will have to decide what computer operations to put on a cloud operated by external vendors and how much they should keep inside their own internal data centers. •	Customers will have to figure out the right policies for backup and recovery services. A right suite of legal conditions to serve disaster management situations such as these will be important. •	Businesses will have to decide whether to allocate more money to backup data centers in multiple locations. Of all the media and advertising channels available i.e Television, Print, Radio, TV and Cinema, the latest entrants, Online and Mobile advertising hold out the maximum promise, and growth in topline numbers in advertisement industry in India will be driven by these channels. Thats what is prompting a lot of International media houses to consider India as one of the hottest Online and Mobile advertising destinations. Consider this, the size of Indian advertising markets is Rs.25000 crore ($5 billion) of which Online advertising contributes Rs.1000 crore which is roughly 4% of the total. This is dwarfed by the ad industry in Brazil which is approximately $20 billion. The 4X number in case of Brazil is simply because of the fact that there are more advertisers in Brazil compared to India. There are 26.1 million registered SMB/SMEs in India, contributing 45% of industrial output, 40% of exports, employing 60 million people, create 1.3 million jobs every year and contributing to 22% of India’s GDP (by 2012). Of these 26 million, only about 100K ever advertise, a lot of them in very local and un-organized terms. The reluctance to advertise is because of them being RoI concious. Within the existing paradigm of media channels, SMEs/SMBs donot find their moneys worth advertising or are simply unable to advertise. Downscaling the media channel costs and increasingly affordability while being location specific is a critical success factor for these SMEs/SMBs. A pickle maker in Trichy has no ambitions of advertising to residents of Mumbai. His immediate concern is his town and its outskirts, leave aside the district as well. Secondly given the 4-5% efficacy ratio for advertisements in terms of target group, the whole exercise of large scale advertisements through traditional media channels is a Loss-of-RoI exercise. That is where the location specificity, target audience relevance and scalability (both up and down) will be important success factors for Online and Mobile ads.Products that cater to this ‘online and mobile first” market will create an extraordinary phenomenon and increase the advertising pie in India. Guess you know what exactly makes Google and Facebook interested in the pickle maker from Trichy by now. Finland and France have legislations in place since 2009 making Internet and web Access the basic right for its citizens. Finland is a step ahead making Broadband as a basic right for its population. For European and certain other economies, Broadband and internet access as a right could be a possibility. However, Internet p[provision to billions across Africa and Asia is not feasible under current conditions and will possibly take 2 decades to materialize. To many including myself, Web Access may be a frivolous distraction at a time when millions of people still don’t have access to food, clean water, shelter, sanitation and health-care. A worldwide survey of nearly 28,000 people in 26 countries in early 2010 by the BBC World Service found openness and accessibility to be critical components of the World Wide Web. The survey, conducted by GlobeScan, found 79 percent of people surveyed said access to the Internet was a basic human right and 87 percent of those who used the Internet felt that Internet access should be “the fundamental right of all people.” More than seven in 10 (71 percent) non-Internet users also felt that they should have the right to access the Web. The survey also suggested the Internet has had a positive impact on people’s lives around the world. Nearly four in five (78 percent) said they felt it had brought them greater freedom, nine in 10 (90 percent) said they thought it was a good place to learn, and just over half (51 percent) said they now enjoyed spending their spare time on social networking sites such as Facebook or MySpace. Thus the survey concluded that the Web is a force for good, and most don’t want governments to regulate it. Most Internet users feel that the government should not regulate the Internet. 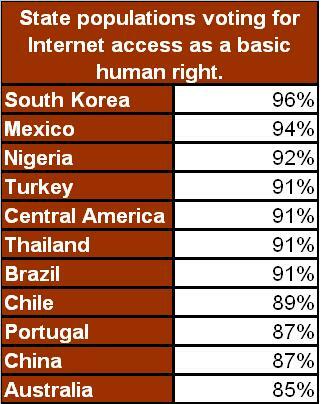 More than half (53 percent) of Internet users agreed that “the Internet should never be regulated by any level of government anywhere”—including large majorities in South Korea (83 percent), Nigeria (77 percent) and Mexico (72 percent). Forty-four percent admitted that they did not think they could cope without the Internet. Similar reactions were found in Japan (84 percent), Mexico (81 percent), and Russia (71 percent), while fewer felt they could not cope without the Internet in Pakistan (19 percent), the Philippines (21 percent), Turkey (27 percent) and Brazil and India (both 29 percent). People most commonly identified with the ability of Internet to find information of all sorts (47 percent), with its next most popular aspect being the ability to interact and communicate with people (32 percent). The Internet’s roles as a source of entertainment (12 percent), as a tool to locate, research and buy products and services (five percent), and as a forum for creativity and sharing of content (3 percent). Fraud (32%) emerged as a greater public concern than violent and explicit content, which was mentioned by 27 percent, and threats to privacy, which were the major concerns of one in five people (20 percent). While, it’s tempting to consider internet access a luxury, but considering the increased quality of life that comes with the huge jump in access to cultural and logistical information the internet brings. Internet access in a time of democratized online publishing may be understood as a contemporary form of the right to self-expression. It could also be understood as part of basic access to public services in an increasingly online world. The various Twitter and Facebook fed revolutions starting from the Iran Unrest to Jasmine Revolution, Libya, Egypt, China and even India Anti-graft brigade bear testimony to the power and the scale of self expression of the commoner. Corey Doctorow has predicted that in five years, a UN convention will enshrine network access as a human right (preemptive strike against naysayers: “Human rights” aren’t only water, food and shelter, they include such “nonessentials” as free speech, education, and privacy). In ten years, we won’t understand how anyone thought it wasn’t a human right. Another report by Christian Science Monitor published an year back names overwhelming percentages of populations in certain countries voting for Internet access as a basic right. Interestingly, most of these countries are not the high per capita opulent states. Rather the trend that seems to be emerging is that countries who have large populations who are striving to make their mark on a global stage are the ones where Internet access is being voted as a basic right. Of the 11 nations, 8 are a mix of Latin and South America and Asian states. Maybe this has to do with Internet’s ability as a platform to democratize information and make it available to every body around. The relevance of Internet as a delivery mechanism for information and content is unparalleled, but what is emerging is Internet as a form of expression and platform of equality. That strengthens its clamor as a Basic human right. While there are economic, political, infrastructural and political challenges to such a huge legislation, there is a scope where-upon states can identify time bound programmes for internet access to majorities of its population. Amongst other things, Internet could be useful in alleviating a lot of issues and problems that exist in the world today. 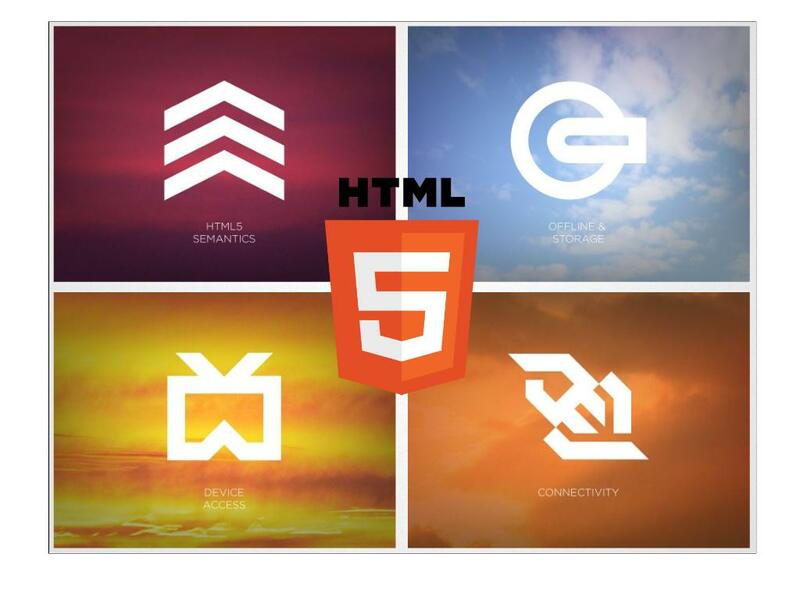 A couple of months back, I had begunby explaining to a friend the utility concept of HTML5 as a cross platform, open source (developer friendly) and the spooling/ information caching platform. While these remain central to HTML 5, a lots more been added and this series of posts tries to cover HTML5, the future of Web. The effort here, is to list the features of the HTML5 browsing and the reasons why it is such a critical piece for web App development. Deployment and Use of Web Font (such as Web Open Font Format, or services like Font.com, TypeKit, Google Web Font API) gives content creators, brands and developers a way to better express and control the most important part of an app or website — the text — without having to rely on images or Flash implementations that don’t always work well for translated text or with search engines. 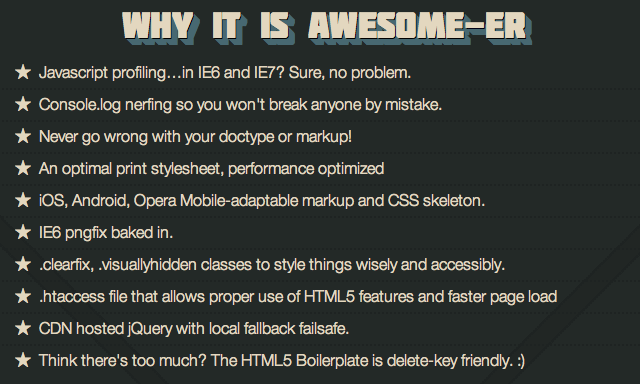 Created and perfected over 2.5 years by Paul Irish and Divya Manian, HTML5 Boilerplate is not essentially a framework. It’s a template that can be modified and used for projects by developers world over. It’s one of the most robust and well-commented starting points we’ve seen for setting up a solid HTML5 base for web projects. Boilerplate is openly available under a public domain license; which can be used and integrated it into your web projects as per the developer needs and requirements. 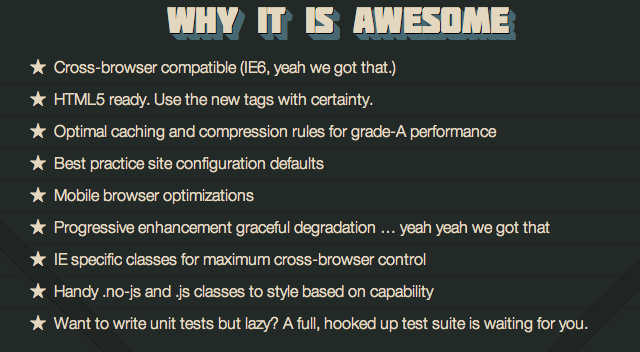 The following slides explain the utility of HTML5 Boilerplates in web Context. Why Operators have lost the consumer? This statement which has become a cliché acquires a new dimension when Illja Laurs, CEO of Getjar says it because of the simple fact that Getjar was the alternate app store to those of the big platform providers that Operators have been banking on to do “things” with the traffic. Laurs states that operators have absolutely no influence over their customers when it comes to where they go on the mobile Web and what they download. Essentially, customers are ignoring the carriers in terms of where to be headed through the mobile web. Laurs’ testimony is critical considering that he has been instrumental in building a thriving application portal independent of Google.GetJar storefront is handling more than 100 million app downloads a month, which could make it the second most trafficked store on the mobile Internet behind iTunes.GetJar has revenue share and promotion agreements with more than 50 operators globally on its store front. Even with large accounts like Vodafone, Sprint and AT&T, Getjar gets only 10% of its downloads from Operators and the revenue is lower. Meanwhile, GetJar’s direct-to-consumer business is booming to the point that it has almost completely written off the carrier partnership completely. No mincing words there…. it says it all. 2. Operators are deeply abhorrent of surrendering ownership of its subscribers to any other stakeholder. They have can network location and presence engines, they can offer carrier billing, they have detailed information on their customers—all potential goldmines for a developer hoping to make its mark. Such data would be goldmines to developers and App Store makers. The catch however remains that while most of the operators swear to open alliances, the fact remains that in terms of sharing customer data and profiling, operators are taking up walled garden approach. 3. There are 200 major wireless carriers worldwide, and they all have different sets of APIs, resulting in an enormous level of fragmentation. If a developer is presented with the opportunity to build a location feature into a single Google API rather than code to 200 disparate APIs, he’ll always choose the former. Initiatives like the Wholesale Application Community (WAC) and the GSMA’s OneAPI program are trying to address those issues, but regional and business differences between the world’s operators will still leave plenty of room for fragmentation in a supposedly common API framework. It is very sceptical that 200 different carriers can agree on common frameworks. 4. Another fall out of the operator walled garden approach is that Operators are likely to seek exclusive partnerships, which developers won’t be so keen to lock themselves into. 5. Fifth is the mindset problem. Operators are largely clueless when it comes to monetizing non-telecom services. The operators are slowly expanding their vision and expertise beyond the gateways and routers of the network. But according to Laurs, they’re doing it too slowly. Thus, operators are being marginalized by their customers when it comes to mobile apps and how there’s little hope of getting them back. 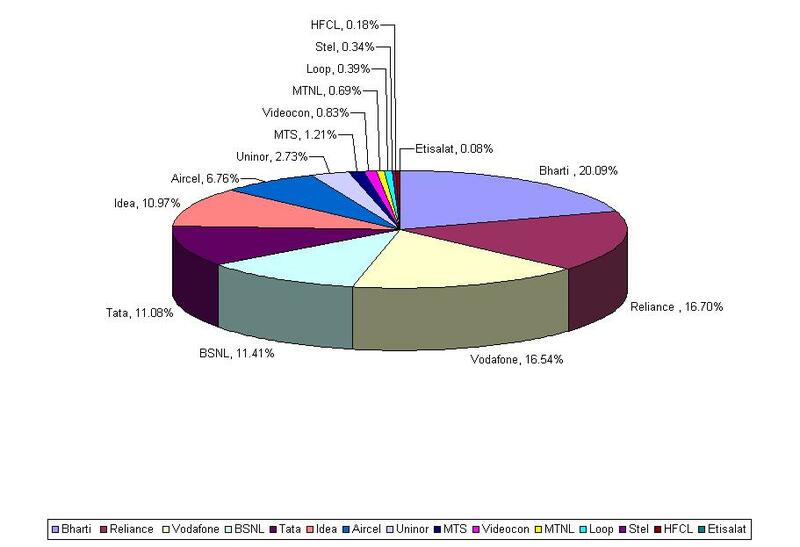 As of Month end February 2011, Teledensity in India is 66.36% with total Wireless and wireline subscriptions totalling 826.25 million. Broadband reach is measured at 11.47 million. The number of active connections (making or receiving 1 call on the network per month) is 562.98 million.While the numbers show a saturation in urban teledensity numbers and a limited potential to add new urban subscriber connections, the potential in rural areas is obvious at 31% teledensity. However, margin challenges for operators will increase as teledensity will increase. 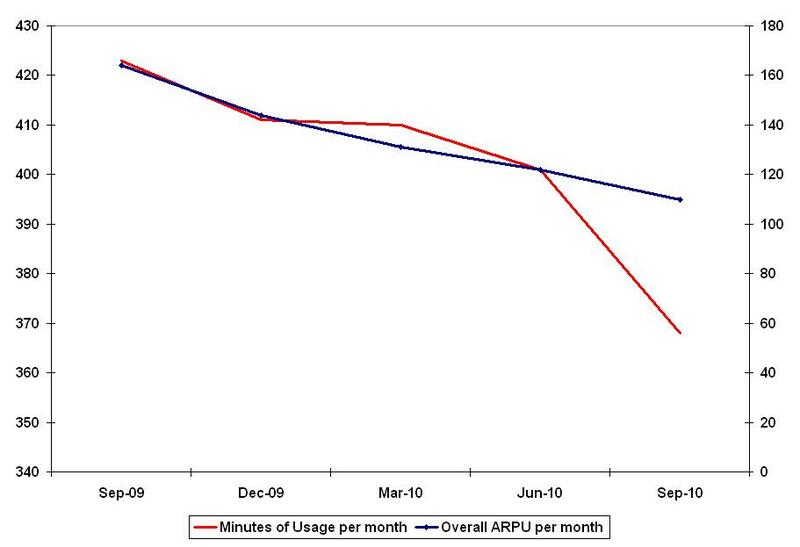 Also, as the number of subscriptions from rural India is increasing, the minutes of usage per subscriber and the ARPU are falling on a Y-O-Y basis. The inexorable rise of subscriber figures has powered the fast and furious growth of Indian Telecom sector past the 80 crore mark. In Contrast to high growth in subscribers (CAGR 0f 47% from March 2008 to December 2010), the growth in revenue has been at a CAGR of 17%in the same period. A total of 15 operators has made the markets hyper-competitive and it is expected that with 3G roll outs and hyper price war scenario, there ought to be a shake out and consolidation. While data on handset sales is not available it is believed that approximately 190 million handsets sold in 2010 with replacement sales contributing to 118mn units or 62.8% of the total units sold. Replacement sales for handsets is to clock a 32% growth rate over next 4 years to register 359 million unit sales/year. This would contribute to 89.30% of the 402 million unit handsets sales by 2014. Translated in terms of ASPs, medium ASP devices i.e devices between Rs.2000-5000 will benefit from replacement sales and is expected to register a CAGR of 26.07% over 2008 onto 2014, when the total sales of handsets between Rs.2000-5000 would be around 240 million units/ year. This is great news for the tier B Indian OEMs who have been more successful than the Tier 1 brands to garner the replacement sales.